SERP has donated funds to allow the partners to continue delivering the best service possible to the people of Essex. 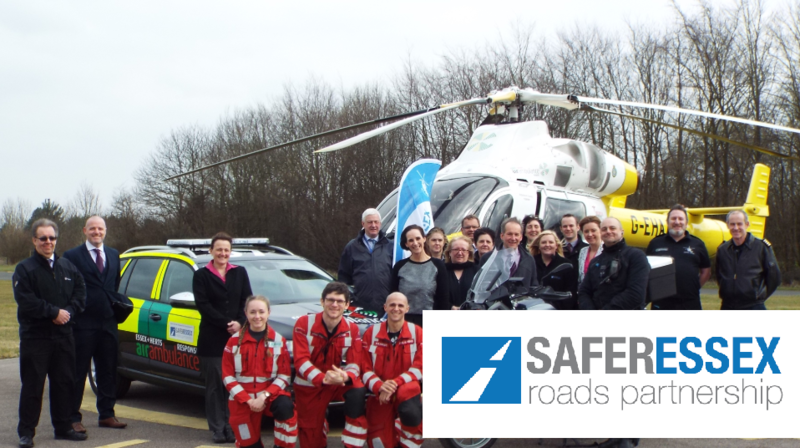 The Air Ambulance’s Skoda Scout is a dedicated 4 x 4 vehicle which brings their fleet of RRVs to four, giving the life-saving Charity greater ability to reach more patients across Essex, whatever the weather or time of day. It also enables the Air Ambulance to mobilise extra teams should a major incident occur. Essex Police has received another unmarked high powered motorcycle with the latest video recording technology. This will help combat unsafe riding and driving behaviours on Essex Roads. We have hidden the motorcycle in the picture above to keep the vehicle as covert as possible. 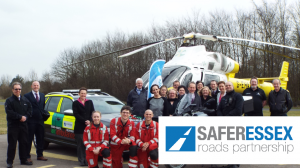 The Safer Essex Roads Partnership (SERP) launched in September 2015 and aims to reduce the number of deaths and serious injuries on Essex roads to zero.